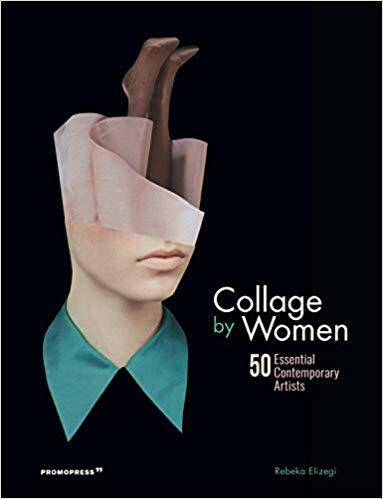 Collage by Women presents 50 international women artists working in the field of collage today through a rigorous selection of their works. Curated by the Spanish collage artist Rebeka Elizegi, the book gives space to voices from all backgrounds, origins, and artistic expressions, and shows the wide variety of perspectives that are shaping the panorama of collage today, bringing to light a parallel effervescence of female artistic initiatives around the world. From emerging names to more well-known and established ones, the artists featured here are pushing back the boundaries of art. Collage by Women wants to call attention to the experiences and creative processes of artists that should be on our radar through an impressive selection of manual and digital techniques, topics and aesthetic choices, accompanied by texts that provide in-depth approaches to the inspiration, influences and work trajectory of each artist. Born from the belief that women's voices are of the utmost relevance in all cultural and social fields, the book will surely contribute to a healthier, more comprehensive, more inclusive understanding of our reality. Among the artists contributing to the book are Annegret Soltau, Rozenn Le Gall, Caro Mantke, Eva Eun-Sil Han, Eugenia Loli, Sarah Eisenlohr, Isabel Reitemeyer, Olivia Descampe or Linden Eller. 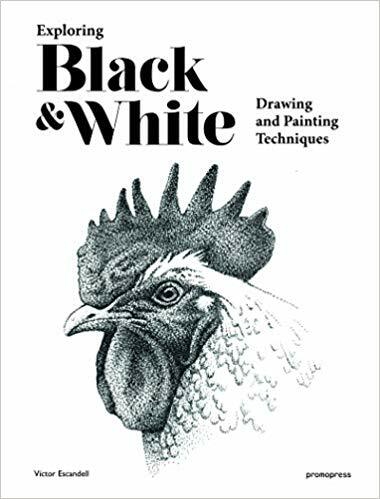 This richly illustrated new book by Victor Escandell is devoted exclusively to the infinite creative possibilities of drawing and painting in black and white. Traditional and current materials, techniques and applications (Indian ink, pencil, pen, bamboo, water-soluble graphite, different types of felt-tip pens for various supports, grattage) are described clearly so that readers can experiment with what they have learned and develop their creativity with a range of materials. 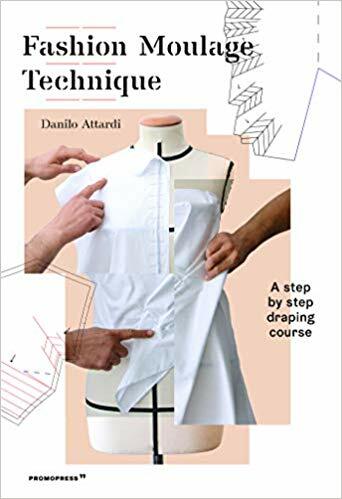 Each chapter deals with a specific technique and contains useful information such as methods used, types of material and illustrated examples, including interesting anecdotes about the origin of the technique, tricks of the trade and references to other classic and contemporary authors. Everything is illustrated with photographs of the final result and images of the process to make sure readers don’t get lost along the way. Different black-and-white mixed techniques are also presented in a specific chapter while the last chapter examines applications beyond paper (textiles, glass, vinyl). Víctor Escandell is also comfortable working with gouache, ink, charcoal, pen and pencil. In his hands, these tools take on a new dimension while everyday products such as salt, bleach and even a hair dryer become essential companions on this adventure. With this book, the apparently simple and limited combination of black and white acquires a new level of expressiveness and drama. It contains QR codes that link to short videos explaining the featured technique. Memories of other places, travel notebooks chronicle the experience of getting to know each other and ourselves. They have been companions of artists from Dürer to Philip Delord, going through the orientalists and explorers. The Art of Travel illustrates the great scientific and journalistic adventures in history, from the Egyptian campaign to the war in Iraq. It also explores more intimate territories, capturing the essence of our world to preserve the remembrance. Between text and image, this stunning collection travels through the centuries revealing the most beautiful pages of a very human adventure. Pascale Argod, who holds a PhD in information and communication sciences, is lecturer at the Bordeaux University. 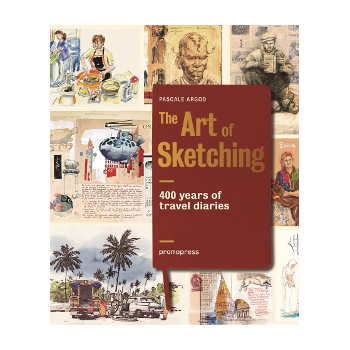 As member of a research group on cultural and visual studies, she does research on travel sketchbooks and travel diaries. 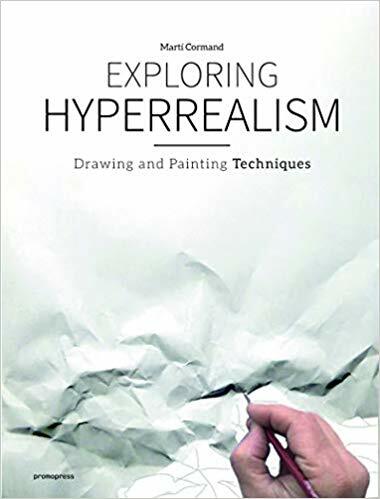 This original work introduces readers to the drawing and painting techniques of the hyperrealist movement, a style applied to painting whose techniques aspire to photographic exactitude in drawing. From the first action before viewing the piece – the search for information and reference images – to different drawing and sculpture techniques, the book offers a step-by-step explanation of the creative process and shows readers how to illustrate in black and white and with colored pencils, how to work with watercolors and oil, how to create a trompe l’oeil and how to create a realistic looking 3D model. Readers will find all the techniques and suggestions they need to make their own hyperrealist creations, all explained in a pleasant and fun way. It is an original and creative way to introduce different drawing techniques that will awaken the artist inside of us all and whose results will strike most readers as surprising given the degree of realism achieved, as if they were photographs. The book includes references to contemporary artists who have used each of the techniques described, curiosities in the world of art and other tricks of the trade. In today’s highly digital environment, the pleasure of the touch, smell and weight of paper as we hold it in our hands is taking on new value. 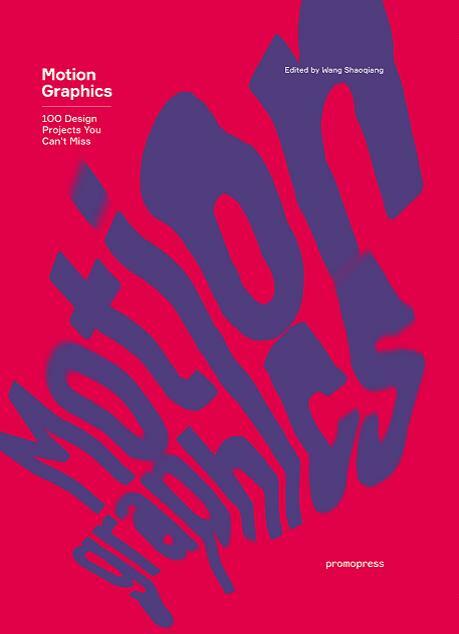 In the graphic design sector, technology is taking giant steps forward, providing designers with increasingly sophisticated tools for producing high-impact designs. In this context, print publications are becoming exclusive objects, and this means that they need designs, textures and finishes that make them especially desirable. In the future, the publications that stand the test of time will be those which we wish to preserve because they feature the beauty of handmade objects. 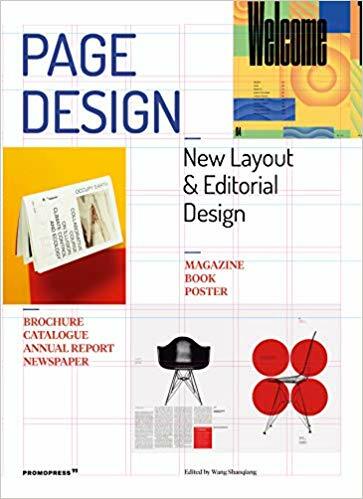 Page Design pays tribute to the tradition of print editorial design by focusing on its outstanding contemporary value. This volume offers a panorama of contemporary trends and styles through a selection of one hundred projects of different sizes, from flyers and magazines to posters, catalogues and books. The projects featured are a statement of aesthetic and conceptual principles that take on a special power going beyond the purely visual when placed in readers’ hands. Containing case studies and tips and tricks, this book is full of ideas on page layout, interaction between sections and the optimum way to convey a message. It is a perfect reference work for designers that will rekindle readers’ love of books as objects with an enduring value. Trimming, piercing, slicing, snipping: just a few of the many words that relate to the idea of cutting. 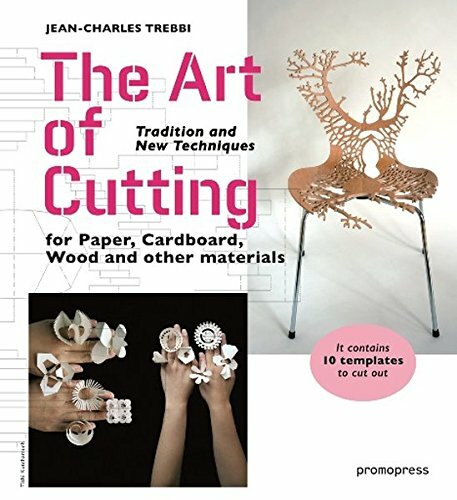 In this volume Jean- Charles Trebbi explores the traditional techniques of paper cutting, before examining current manifestations of this art form, including the contemporary materials and technologies it uses and the types of artistic expression it offers. The Art of Cutting is a collection of artworks thathave been created using a variety of cutting techniques. 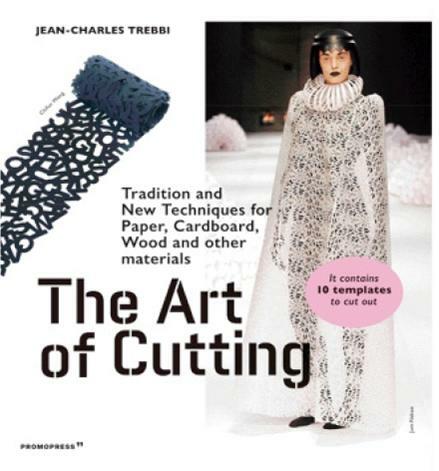 The author explores traditional techniques that are still very much alive worldwide, and he analyses the current aspects of the art of cutting, in which different materials and technologies lead to new forms of artistic expression. 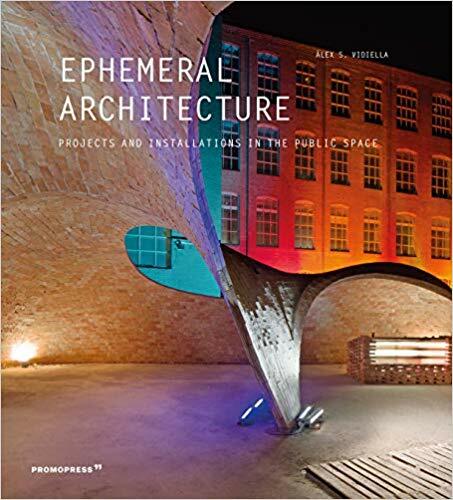 This book presents a selection of artists who revisit and work with traditional techniques, as well as those who adopt contemporary approaches. From paper to ceramics, food design and architecture, The Art of Cutting offers a stunning and diverse universe that is waiting to be discovered.